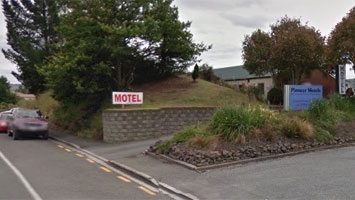 Welcome to Pioneer Motel at Palmerston, Otago. 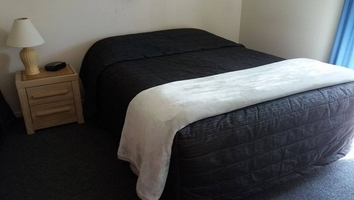 We are the only motel in Palmerston, situated just off SH 1 at 56 Tiverton Street. We are only 150 metres from the main town shopping area, with several places to eat and a delightful variety of shopping to suit many tastes. Palmerston is a great spot to base your holiday experience in Otago and Waitaki. Whether you are an international tourist or a Kiwi on a "Tiki Tour", we are only 40 minutes from Dunedin, Oamaru, and Ranfurly. An excellent half-way point between Invercargill and Christchurch, or 3 hours from Queenstown. New Zealand's largest open cast gold mine, operated by OceanaGold, is a 30-minute drive from the Pioneer Motel with great viewing points established. If you are going to or leaving from the Central Otago Rail Trail, the Pioneer Motel is the ideal stopover. 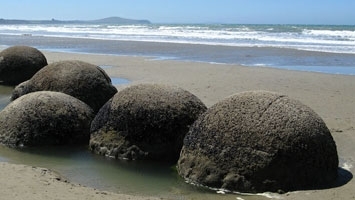 The famous Moeraki Boulders are a mere 15-minute drive from Palmerston, with several sites along the way to view penguins, all kinds of other bird life, and seals. Don't miss the stunning beach along Katiki Straight. There are several access points where you can get right onto the beach safely. Our sacred mountain Puketapu offers breathtaking views out to sea and inland from the township, down the valley to the mountains. You can walk right to the top of the mountain and the site of the Sir John McKenzie monument. There is plenty of off-street parking. Each unit has its own well-equipped full kitchen. Separate bedroom and bathroom with lounge/dining area. Laundry facilities are available for guest use. Pets are welcome to sleep in their owners vehicles. We offer free WiFi to all units, continental breakfast is available upon request and all our units are serviced daily. Under-veranda parking is available for cycles and motorbikes. Bookings are essential. We look forward to meeting you! Nice spacious rooms, full cooking facilities,the best internet we had while on Holiday. Very helpful friendly lady. Very friendly and kind host, will be back to stay again. We were very happy with the service here. Nice clean simple rooms, serviced well every day. Very friendly staff took a personal interest in the guests. Beautiful area of the country to stay in. Lots of things to see and do within a hour's drive. Could hear the birds and see the sunrise/sunset. We'd stay again. I have a moderate walking disability and the owners could not do enough to help - they moved me to a unit more suited to my condition when they became aware of it. Nothing was too much bother.